Are you trying to combine beauty, health, easiness and greatness? 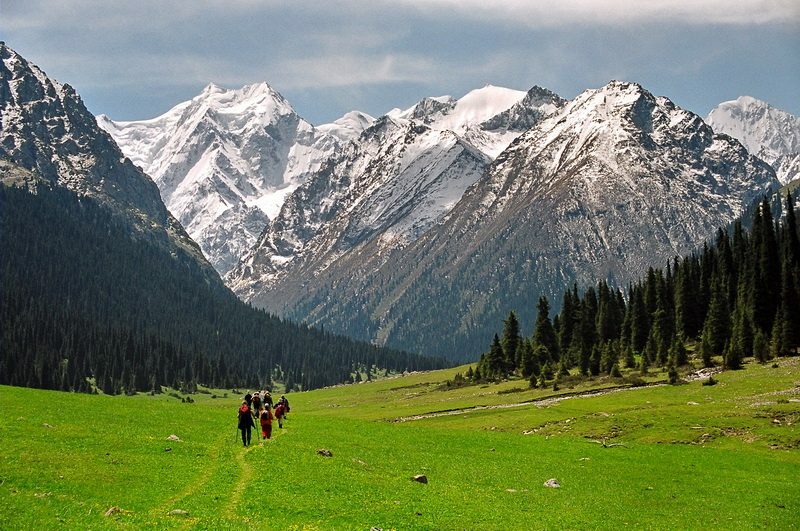 Just do the Karakol trek! 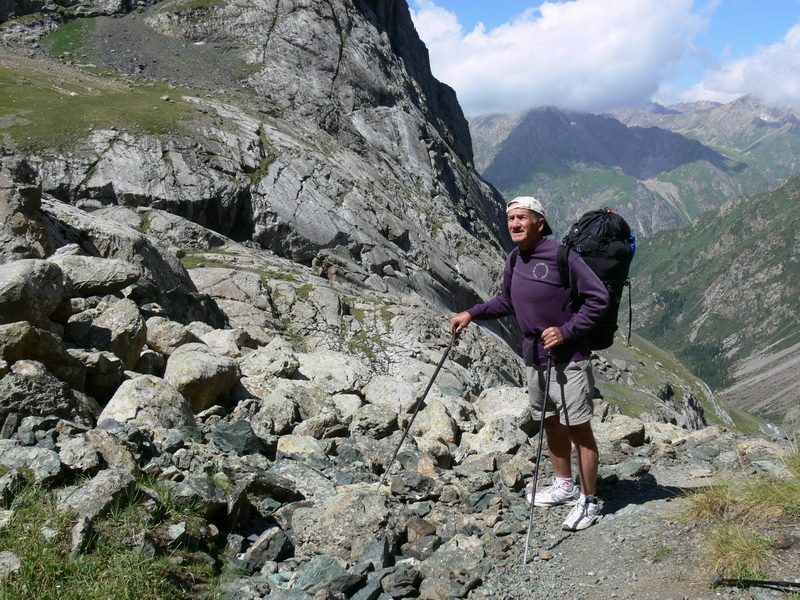 It is the most famous and impressive trek, unique for diversity of landscapes and accessibility almost for everybody. Amazing as it is, but panorama views will be more and more beautiful step by step all the way. At first you will really enjoy the view of red rocks in Jety-Oguz Gorge, and then you’ll see the exciting Jety-Oguz Wall Glacier (5181 metres of height), natural fir forest in Karakol Gorge, amazing Ala-Kol Lake and Altyn-Arashan with its healthy-giving hot sulphur springs. Now you know: this amazing trek is quite moderate and safe for your body, very good for your health and great for your mind! Arrival in Bishkek. Accommodation in the Guest House. Meeting in the office and discussion off all the trek details. Preparations. A.M. Early Breakfast in hotel. Transfer to Chon-Kyzyl-Suu. P.M. Lunch on the way. 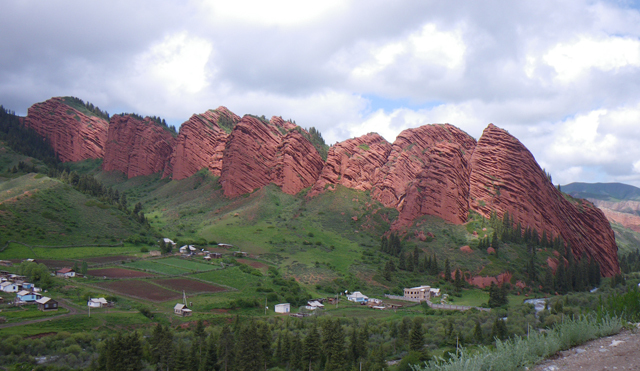 Further way to Chon-Kyzyl-Suu along the south shore of Issyk-Kul Lake which occupies central part of the valley formed by the circle of the Terskey and Kungey Ala-Too mountain ranges. Issyk-Kul Lake is the largest in the Tien-Shan Mountains (6,236 sq. km.) and has a maximum depth of 703 m. The altitude of the lake is 1608 m. above the sea level. Issyk-Kul Lake is unique for dozens of rivers and streams flow into it, yet none flows out. Arrival to Pokrovka village, meeting with porters. Trekking via East Tuyk river along the Chon Kyzyl-Suu Gorge, up to the altitude of 2400 metres above sea level – the first place of overnight stay. Set the tent camp, Dinner. After breakfast. 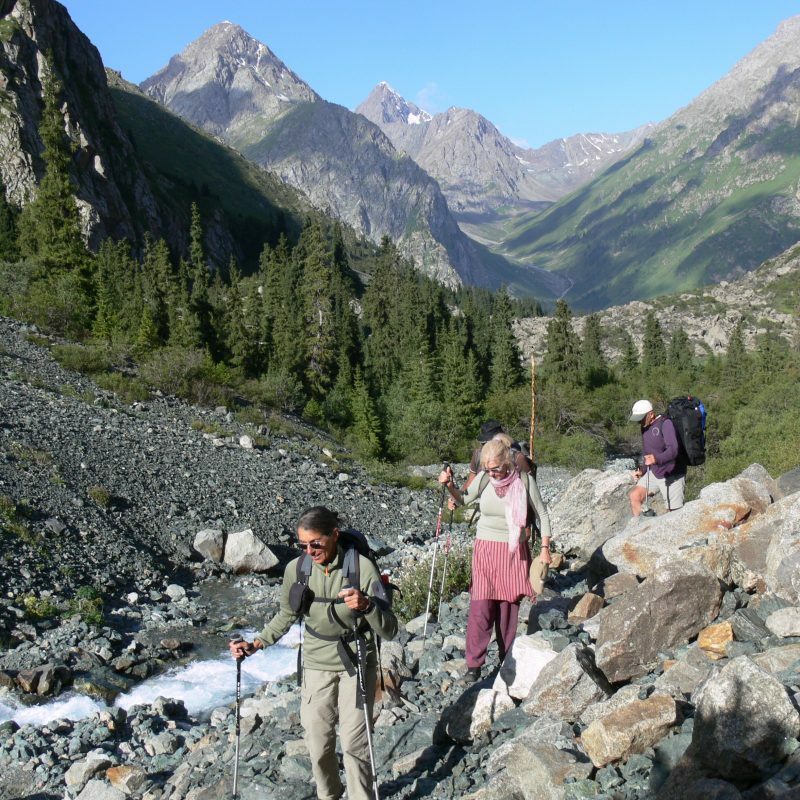 Trekking via Archa-Tor pass to Jety-Oguz Gorge. Many legends disclose the strange red rocks of Jety-Oguz gorge. 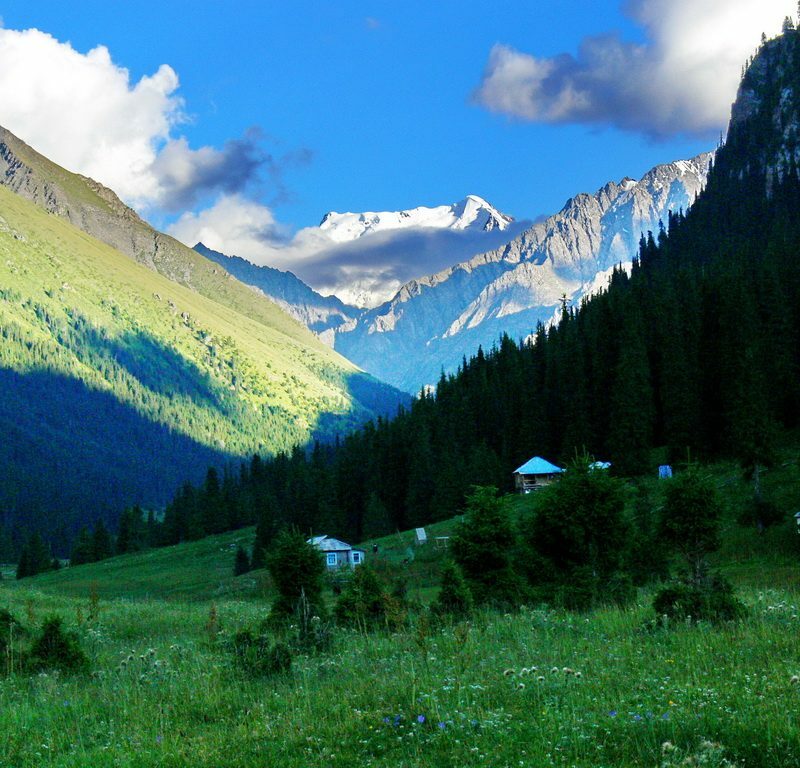 The Alpine health resort „Jety-Oguz“ is located at the river with the same name at the altitude of 2200 m. in a picturesque gorge on the Northern slope of the Terskey Ala-Too range. 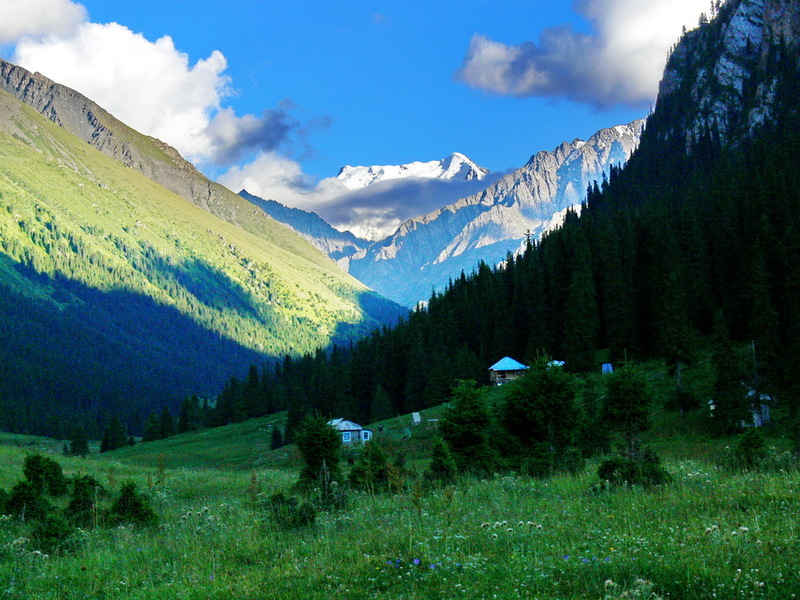 A broad valley surrounded by snow-capped summits – this place is the most beautiful in the Northern Tien-Shan area. Jety-Oguz takes origin from whimsical red rocks that stand high at the very entrance to the gorge. Set a tent camp in the wood zone in convenient place near the confluence of rivers – Jety-Oguz and Telety in Gety- Oguz gorge. During these days – radial hiking to the Jety-Oguz Wall Glacier, where travelers can enjoy amazing views of the top of 5181 metres of height. Two overnights in tent camp. Start ascent to Telety pass (3650m). There is a convenient track, which goes in coniferous woods almost directly to the pass. Further downwards there is a rapid descent along a talus. No trees, no bush – only alpine meadows. Overnight soon after having chosen a convenient place to set up the camp. 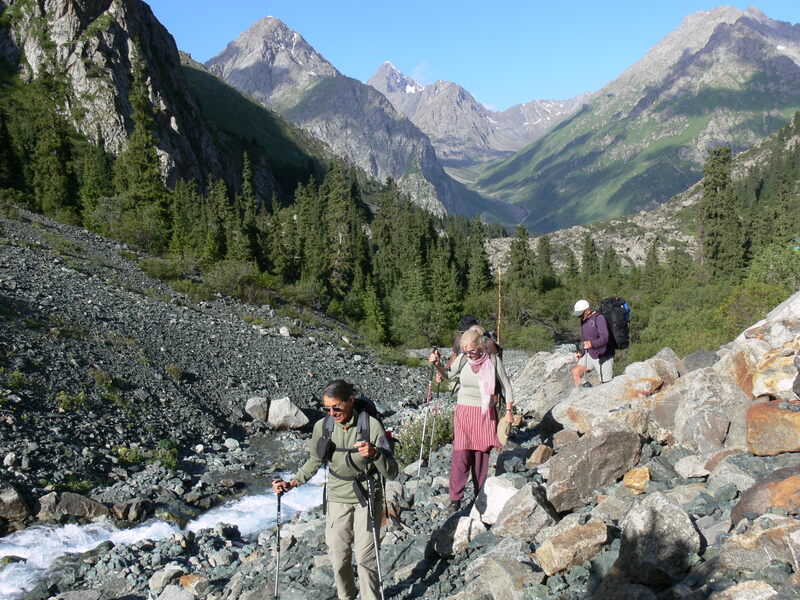 Start trekking to Karakol George via the Telety pass – little bit hard ascent that you will do by almost even terrain. You will go trough the woods by narrow and tangled lanes. Will cross rivers by bridges, by stones and tree trunks. 3 hours trekking by almost even terrain and you will go up to grassy mountainside and clamber through the wooded declivity (about 2 hours). Set up a tent camp. It is better to stay for two nights here. 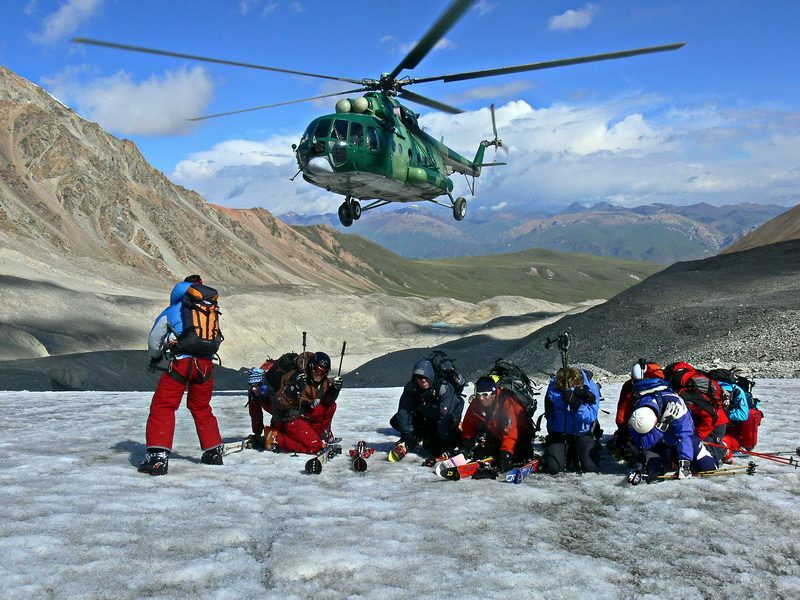 In this case you will have a chance to do radial hiking to the Karakol Peak (5240 m. ab. sea level) or to Oguz-Bashi (5150m. ab. sea level). AM After breakfast you will start climbing to Ala-Kol Lake (3 hours) through the forest oasis of SIROTA (2900m) (meaning “orphan” because of location in the middle of a barren, rocky valley). Here you will find a little alpine log hut built by a group of mountaineering enthusiasts several years ago. Sirota is one of the region’s most remarkable and beautiful areas with unique landscape and spectacular views. 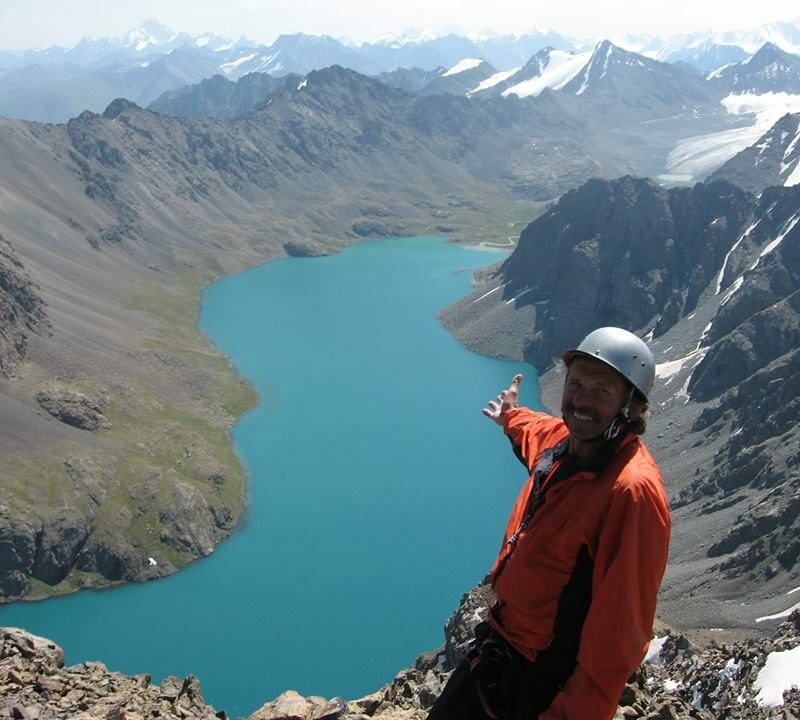 PM Lunch on the shore of the pearl of Karakol canyon – ALA-KOL LAKE via Ala-Kol pass 3860m – 6hours. Ascent to the Ala-Kol pass (3860 m). The short and flat summit makes a good vantage point for picking out Terskey Ala-Too’s highest peaks: KARAKOL (5273m), DJIGIT peaks. The ridge that forms these peaks runs from west to east across the horizon. This lake is famous for its eerie, ever-changing color and for being situated at an altitude of 3500m above sea level. Everybody finds the spectacle of this natural wonder absolutely unforgettable. When you come here for the first time, we guarantee that you will fall in love with Ala-Kol and its surroundings. The color of the lake surface changes from greeny-blue to violet every hour depending on weather conditions. 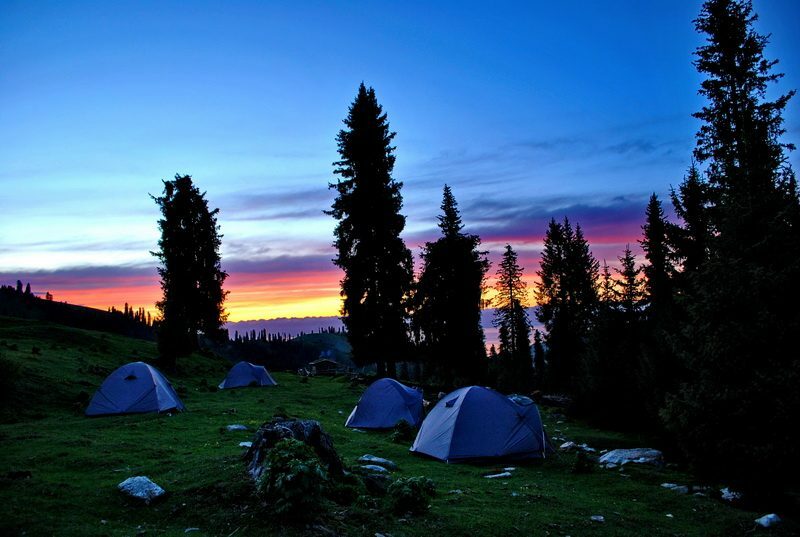 Continue your way through the Ala-Kol pass, set up the tent camp, dinning, rest time. AM Breakfast, starting ascent to the Ala-Kol Pass along the grass slope with good seeing pats, along the stone slopes. There are lots of small rivers, which you will cross. PM Stop in the marvelous place for the lunch. Usually some slight meal and warm tea. 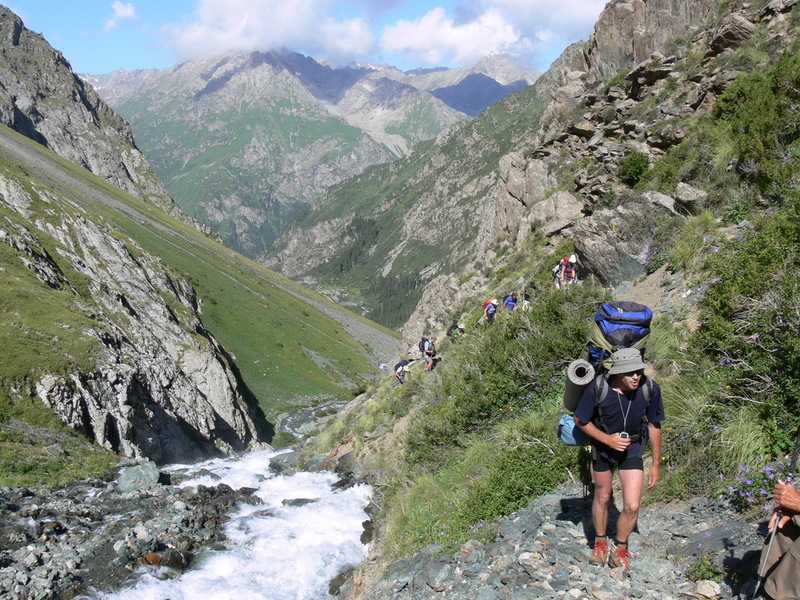 Further way descending from the pass at walking you will go through the pine-tree forest of Altyn-Arashan Gorge. 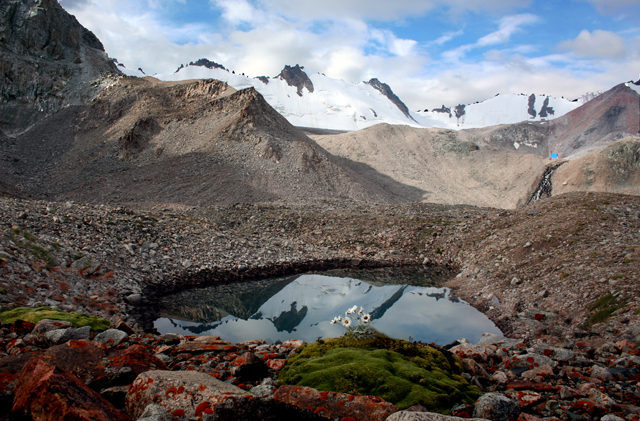 Much area of which is a botanical research area called the Arashan national nature reserve. The resort at Altyn-Arashan is famous for its hot sulphur springs. You will see carpets of flowers and different sorts of grass. The road to the camp will go through picturesque Mountain Canyon. The road is in very hard condition. It is a real climbing challenge for a car. The road goes along the river shore. There are lots of serpentines. There is an opportunity to take radon bathes. And have great walking paths. Reaching the camp place. Setting the camp. Dinner and rest time. AM Breakfast. Meeting at the car. Transfer to Karakol town. PM Lunch in the local café. Sightseeing excursion. The Dungan mosque was built in 1907, it is the place of worship of Buddists from all Central Asia. It was built from the wood without a single nail over a century ago and takes after the buddist pagoda style. Accommodation in the local guest house. Dinner. After Breakfast transfer to the Cholpon – Ata region, where you can visit the open air museum of petroglyphs, swim in the lake and have a rest day. AM Breakfast. 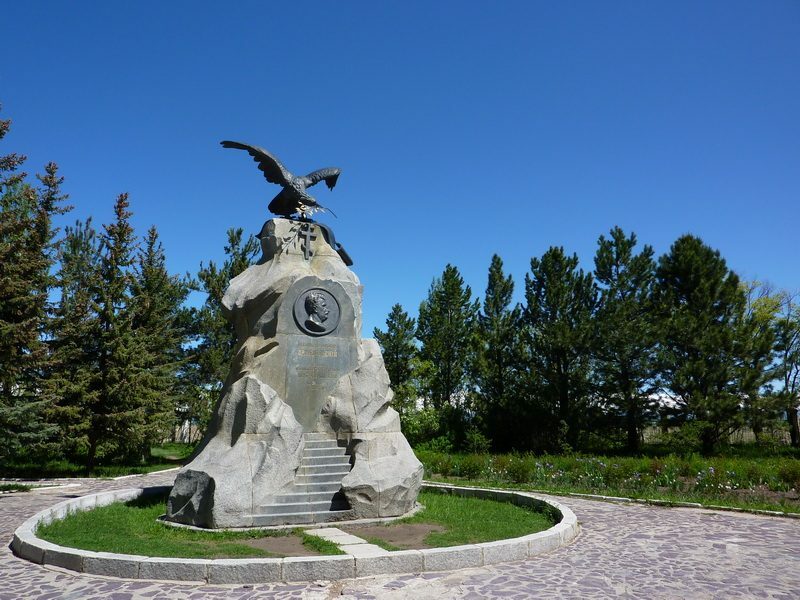 Transfer from Cholpon-Ata to Bishkek along the north shore of Issyk-Kul Lake. Burana Tower located in the center of ancient town of Balasagun. The tower is 24,6 miters high (original height was 45 miters). Territory of the museum covers 36 hectares including central ruins of the town. Arrival in Bishkek, city travelers accommodate in the hotel, having some rest time till evening. Dinner at the local restaurant, rest time, transfer to the airport for the flight.